Backlinks, a foundational element for SEO since the beginning of Google, provide search engines with clues to help determine the importance, credibility and relevance of these pages. 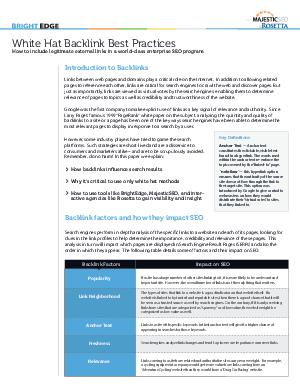 Today, backlinks and internal links are as important as ever - 70% of search marketers will place more importance on 2013 on analyzing internal links. How to use tools like BrightEdge, Majestic SEO, and agencies like Rosetta to recover and avoid problems.